Monmouth’s inaugural graduating Class of 2017 and the Class of 2018 each have a 100 percent pass rate. Plastic surgery, Cardiothoracic surgery, Orthopedics, General Surgery, Dermatology, Breast surgery, Vascular surgery, Emergency medicine, Psychiatry, Interventional Radiology, ENT, and Cardiology. Our first graduating Class of 2017 has 100% employment in a variety of settings and specialties. Our graduates are working in the areas of: cardiology, cardiothoracic surgery, emergency medicine, general surgery, orthopedic surgery, and psychiatry. They are responsible for managing patients in office and hospital settings as well rendering pre-, intra-, and post-operative care. Patient logging data shows that in the Academic Year 2017-2018 our students had 11,680 patient encounters across all disciplines. Through several courses in the curriculum (PHA-606 Physical Diagnosis, PHA-621 Topics in Medicine and Surgery, and PHA-622 Clinical Management), students receive preparation through cased-based instruction in how to review the current literature and how to apply guidelines for managing patient care. Students develop critical-thinking skills how to manage patients in acute, urgent, and emergent settings for patients through the life span. Students spend 3 hours per week in the Physical Diagnosis and Clinical Management courses on case study analysis. One hundred percent of the students in the past three years have received a grade of A or B in these courses. Learning how to evaluate results of clinical studies is learned through PHA-625 Research Methods I and PHA-626 Biostatistics by appreciating the nuances of sound research methodology and appropriate statistical testing. In the past three years, 100% of the student research groups received Institutional Review Board approval and completed their research projects using the knowledge gained through these courses. The research projects were presented at the Interdisciplinary Research Forum during Scholarship Week. Students received a grade of A or B in the capstone course where the final paper of the results of their research is submitted, PHA-635 Research Methods II. 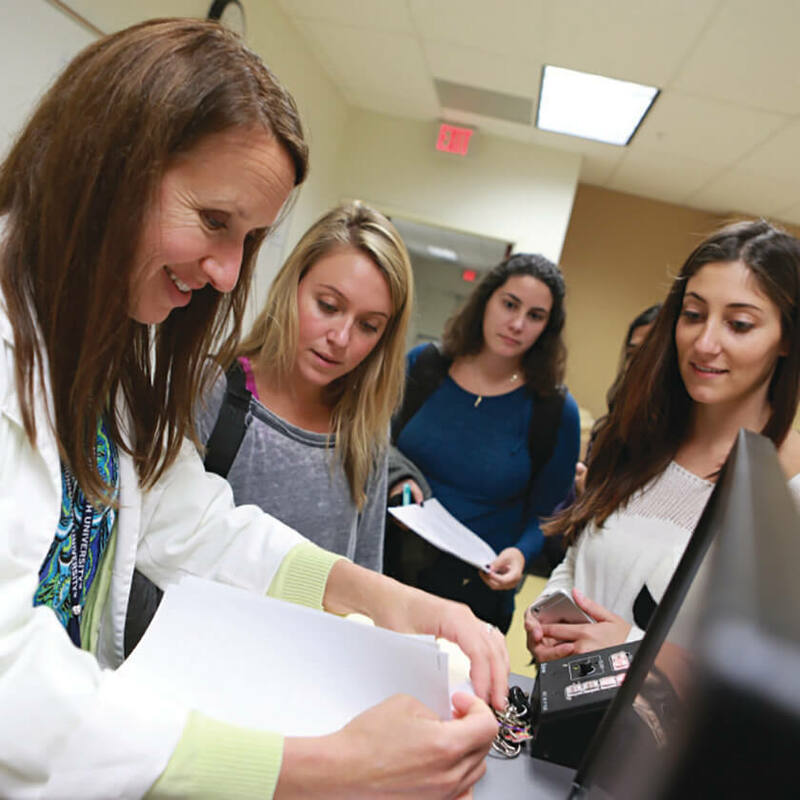 In addition, students learn how to apply epidemiologic principles when formulating differential diagnoses from PHA-633 Epidemiology for Physician Assistants course. All students received a grade of A or B in this course. During the clinical phase preceptors graded 95% of students as 4 out 5 or 5 out of 5 in the areas of problem solving skills and developing differential diagnoses. Coursework related to patient health assessment (PHA-605 Health Promotion), patient management (PHA-622 Clinical Management), and health policy (PHA-636 Health Care Policy) discuss how socioeconomic and political factors will affect the access, cost, and quality of health care delivery. Moreover, the economics regarding medical malpractice and patient protection with regard to risk management are also discussed. In Clinical Management students had to include the cost of medications and laboratory tests ordered for the patient cases so they learned how to appreciate the costs related to patient management. In the past three years 100% of students have attained grades of A or B in this class. During the clinical phase preceptors graded 93% of students 4 out 5 or 5 out 5 in the areas of having knowledge of cost-effective health care delivery and understands health care related fiscal responsibility. The first semester of the program introduces students to the necessity of excellent communication skills required for interactions with patients, their families, and other health care providers. Students practice their communication skills in PHA-603 Introduction to Patient Assessment course where each student is assigned to a clinical site to complete a complete medical history and present their findings in a cogent manner to a clinical instructor. In addition, students research and present different health professions in PHA-612 Introduction to PA Profession course in order to understand the education, credentials, and roles of other health professionals. The PHA-621 Topics in Medicine and Surgery course includes instruction by members of the health care team, including speech language pathology, social work, physical therapy, and occupational therapy. These lectures provide students’ knowledge of when and how to refer to these professionals. Results from our clinical preceptors reveal that over 96% of students are able to present a patient case in an above average/superior manner. In addition, 99% of our students are assessed as having an above average/excellent demonstration of respectful/caring behavior. 95% of our students demonstrate above average/excellent skills in working effectively with other health care personnel. Data from our online logging system shows that our students have clinical encounters with a diverse patient population. Of their total patient encounters since 2016, the breakdown of patients seen by our students is: African-American 13%, Asian 2%, Caucasian 70%, Hispanic/Latino/Latina 11%, and Other 4%. All students are required to enroll in PHA-625 Research Methods I and PHA-626 Biostatistics. Student groups formulate, under the guidance of PA faculty advisor, a group research project. The focus of the research project is based on a review of the current literature. Since 2016, the PA student groups presented their work at the Monmouth University Scholarship Week Interdisciplinary Research Forum. In addition, two research projects were accepted for presentation at the May 2017 American Academy of Physician Assistant Annual Conference Poster Session in Las Vegas, NV. During Student Scholarship Week 2018, a 2nd year student, Mr. Scott Fiorini, from the Class of 2019 was invited to “Hawk Talks” where he presented what he has learned about patient-provider communication to the Monmouth University community.